You are here: Home / Taxes / I Got My Refund. What Should I Do with It? It’s tax season once again. Uncle Sam finally returns the extra money he took over the past year. A tax refund is paid when the amount you paid in taxes exceeds your actual tax liability. Basically, you paid more than you owed, and now you are being refunded the amount that exceeds your debt. This is your money. Your tax refund check is yours to spend however you want. First, let’s take a look at what most people choose to do after getting their tax refund. About this time of year, big box stores have “tax sales.” We are bombarded with ads beckoning us to spend our refunds on the latest gadgets, cool cars, appliances, outfits and accessories. Spend! Buy! Sale! Discount! This is how most of us will waste our tax refunds. As soon as our tax refunds hit our bank accounts, we start shopping. This, in part, is why so many of us live from paycheck to paycheck. We have forgotten how to save. Perhaps we were never taught? Perhaps the problem is our mindset. It is good and appropriate to be excited about receiving a tax refund. It’s money you didn’t have a day ago. Now we can do something we might not have been able to do previously. At last, we have funds to fuel our plans. This standard mindset, however, is what gets us in trouble. We have forgotten that money is a tool, and it must be used wisely. Like any tool, if we misuse or waste it, we’re going to have a bad time. We must learn to not squander what we are given. My grandmother, a very wise woman, had a favorite saying. “Waste not, want not.” Ours is a very wasteful culture, so ours is also a very wanting culture. Let’s be weird. Now that you have your tax refund, what should you do with it? Should you buy that giant flat screen TV you don’t need? Take a road trip? Something else? 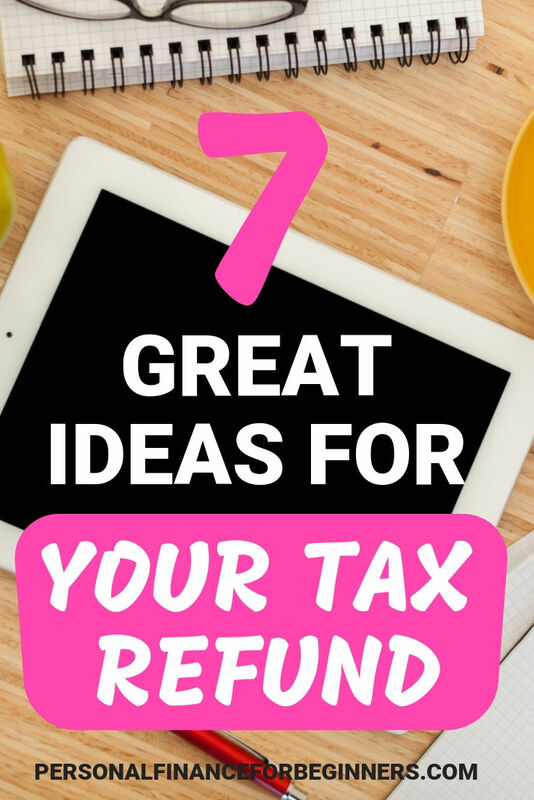 Here are seven ways to use your tax refund for good. According to Bankrate, the majority of Americans could not pay an unexpected expense of $1,000 with savings. Only 40% claimed they would be able to cover the expense. The other 60% would rely on another source. Of those polled, 15% would use a credit card, hoping to pay the bill over time. This, of course, assumes a high enough credit limit to cover the expense. Fourteen percent would need to cut back, reducing normal spending on other items to be able to afford the added, unexpected expense. Thirteen percent of respondents would hope to borrow from family or friends. This, of course, is only an option if your friends and family are in a financial position to help. They may be in the same boat. Six percent would rely on a personal loan. While better than credit cards, personal loans are still debt. Debt comes at a cost. You will always be paying back more than you borrowed in the first place. Terrifyingly, 10% had no idea how they would pay the bill. An emergency fund is not a nice luxury. It’s an absolute essential if you hope to stay on solid ground, financially. Unexpected expenses can happen to anyone. If you’ve lived long enough, you know that first hand. Some days you’re the windshield. Some days you’re the bug. Cars break down. Some repairs are cheap and quick. Others can easily run into thousands of dollars. A rebuilt transmission, for example, can easily set you back $1500 to $2500 USD. Ouch! Any homeowner knows home ownership is expensive. Pipes break. Storms damage roofs. Pests destroy structures. Utility bills skyrocket. Medical expenses can hit like a bag of bricks. A standard emergency room visit can easily set you back thousands of dollars. You drive to the emergency room with chest pain. It’s only stress, thankfully. As a compassionate, caring reader, hopefully you would like to be in a position to help your friends and family should they find themselves in need. An emergency fund affords you this flexibility. If you don’t yet have a fund for rainy days, use your tax refund to create one. How much should you keep in your emergency fund? That is largely up to you. Dave Ramsey recommends at least $1,000. That’s a great start. Keep in mind, however, many unexpected expenses can be many thousands of dollars. So, there really is no upper limit. Once you have your emergency fund in place, tackle debt. Debt is a growing problem in America, and it doesn’t show any signs of slowing. 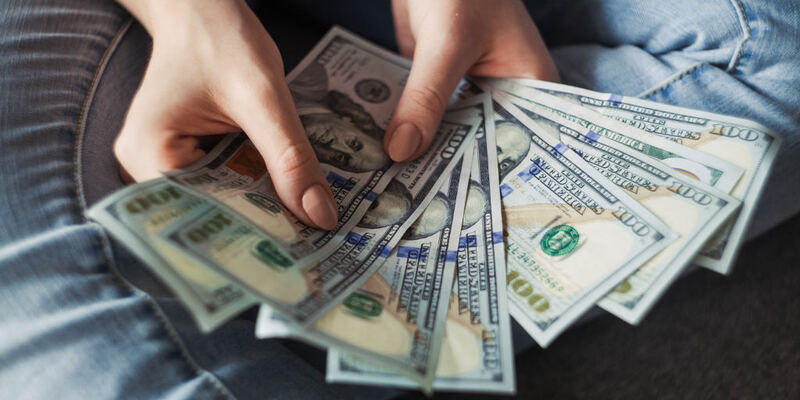 According to the Federal Reserve, total consumer debt increased a massive 7.6% in 2018 with the average amount owed per capita sitting at a whopping $11,880! Credit card debt hit an all-time high in May of 2018. Two in ten adults report a rolling debt of $2,500 or more in credit cards. Average student loan debt is an incredible $76,468. As Dave Ramsey so famously says, “Debt is normal. Be weird.” We need to be weird if we are going to break the cycle. Debt prevents building wealth. When much of your monthly or annual income is allocated to paying back what you owe, how can you save for the future? How can you afford to build wealth? If you’re being honest, you know you can’t. Debt is expensive! The longer you wait to pay back what you owe, the more you will owe. That’s interest. It stinks. Your tax refund is a perfect weapon against the monster of debt. You hold in your bank account the weapon to fell the foul beast. You neglect it at your peril. Sure, you could spend your refund on something fun, like a big screen TV. You certainly could. However, your debt will still be there mocking you, accruing interest, becoming more and more expensive by the day. Tackle it now while you have the chance. Are you saving for retirement? Maybe retirement is still decades away and isn’t even on your radar. After all, you have more important things to do today than think about getting old, right? The terrible truth, however, is many adults aren’t saving for retirement at all. According to the Motley Fool, a shocking 42% of adults have absolutely nothing saved for retirement. Forty-two percent! Sadly, Social Security will not be enough for a great many. They work for years paying into a system that will not be able to sustain them by itself. Many will find themselves falling short and not have enough for day to day expenses. A retirement fund is an investment in the future. The only better time to start a retirement fund is ten years ago. The next best time? Today. Your tax refund is an excellent start to a retirement savings account. It doesn’t take much to start your fund. Even a small investment of a few hundred dollars can snowball into a sizable sum over the course of your life, putting you in a much better place when it comes time to retire. If you have one already, awesome! Your tax refund will make a fantastic addition to the fund and can provide a great return on your investment. If you have been paying attention, you know the world is full of people who are hurting and in need of help. Many are desperate… Not for a handout, but a hand up. Men, women, children, and families are affected by job losses, extreme medical bills, loss of a loved one, and more. As someone in a position to help, consider lending a helping hand to someone need. Ask around in your community. Find a reputable organization that is committed to helping people in a real, tangible, and lasting way. It’s never too late to further your education. Learning is a life-long process. As the saying goes, if you aren’t learning, you’re dying. Leaning is a great way to keep your mind strong and healthy. We need constant engagement to keep ourselves sharp and ready for anything. That’s not to say you have to go back to school to finish your degree or finally get your doctorate. But consider the possibilities. Take a class at your local community college. Community colleges offer courses in a wide variety of subjects. Even if you aren’t seeking a degree, they will happily take your money for a course. If institutional instruction isn’t for you, a plethora of learning materials and online video courses can be had for a minimal investment. A course in nearly anything you would like to learn can be delivered to a screen near you in seconds. Skillshare, for example, offers courses in everything from videography to graphic design to writing. It’s the perfect site to pick up a new skill or share one of yours. Get it? Share… skills? Ok. Moving on. If advancing your career is more your thing, check out one of the many career-focused education options. Information technology, for example, is a massive field. With a few hundred dollars and time, you could easily pick up a study guide for a CompTIA, Cisco or Microsoft exam, take the test, and become a certified technician. This is a fantastic opportunity for anyone who would like a change. Your tax refund can be the perfect fuel for your future career. Spend a bit of money on improving your home. Update your kitchen. Replace carpet. Install new windows. Make your home yours. Maybe the exterior color of your house doesn’t matter much to you. Maybe you couldn’t care less if bricks are falling off or paint is peeling. However, the appearance of your home has a massive impact on its market value. Should you ever decide to sell your home, a higher market value is obviously better. Who wants to be paid less? Nobody. That’s who. Old, leaky windows can cost you in utilities. If your furnace has to work overtime or your air conditioner never stops, you will feel the heat when it comes time to pay the man. Never forget you’re paying for every bit of heat and cold you pump into your house. If your windows are subpar, you will have a hard time containing the cold in summer and the warmth in winter. Spending money now on windows will save you money in the long run. The same is true for insulation. Many homes are poorly insulated–driving up utility costs. Take the time now to ensure your walls aren’t robbing you of precious heat and air conditioning. Your wallet will thank you. Your tax refund can go a long way toward making your home more beautiful, more fun, and more energy-efficient for years to come. Appliances break and wear out over time. Refrigerators, water heaters, furnaces, ovens, all have limited lifespans. Over time, the risk of failure leaves you susceptible to catastrophe. Water heaters flood. Old ovens leak gas. Freezers lose their cool, wasting food. These expensive items are only built to last for so long, making their replacement inevitable. A standard dishwasher, for example, will only last an average of 9 years according to Consumer Reports. Older model appliances tend to be less energy-efficient. Even if your fancy dishwasher gets your dishes clean, is it using more energy than a newer model? Very likely. Using more energy means spending more on utilities. Your older model appliance may be very literally costing you money you don’t have to spend. Replacing a worn-out, inefficient appliance can be a great use for your tax refund check. I got my refund. Why not spend it all on something fun? Why shouldn’t you blow your tax refund check on that flat screen TV or fancy stereo system? Life is short, right? We’re meant to have fun, right? Yes, life is short. Yes, we want to have fun. That’s precisely why it’s important to spend our money wisely. How many of our arguments and headaches have their root in financial trouble? Who of us can predict the future? I can’t. None of us knows what tomorrow brings. We owe it to ourselves, to our families and to each other to start treating our finances like they matter. You may lose your job through no fault of your own. You may be hit by a bad driver, even if you’re the safest driver on the road. A routine checkup could turn into a scary diagnosis. Friends and family may find themselves in desperate need of financial help. What will you do in those situations if you aren’t prepared? If you do blow your tax refund, will it be the end of the world? No. Probably not. But you will have only reinforced the mindset and kind of behavior that has led to the debt crises we face today. It’s time to do better. It’s time to be better. Better can start with your tax refund. This post was contributed by Michael Swengel. A native of Indiana, Michael is an author, blogger, and artist. He’s an IT professional by day and a business owner by… also day. With too many interests, it’s hard to tell what he will do next.